The town of Arrasate Mondragon is at the centre of why the county has managed to keep its population employed. It is the home of Mondragon Cooperative Corporation (MCC), the world’s largest worker cooperative. MCC employs around 84,000 in 256 associated companies, approximately half of which are co-operatives. The alternative organisation of the corporation means that around a third of employees are members of the organisation; all charged with the day-to-day running of the institution. It is a thoroughly democratic system where 43 percent of members are women, and all members confer to decide what general rules and regulations will rule the MCC and its constituent enterprises. In order to guarantee equality between members, the corporation has adopted measures to ensure that top-paid workers in management positions can only earn up to 6.5 times what the lowest paid workers earn. In Britain average CEO remuneration can be up to 145 times higher than the average workers’ pay package, and in the US it can be up to 400 times higher, according to research by the High Pay Commission. In 2011 the MCC’s total sales were worth €13.97bn. The individual firms within the corporation are divided into four categories: industry; finance; retail; and knowledge – they produce anything from the coveted Orbea bicycles, Tour de France and Olympic favourites, to Fagor Fridges Brendt ovens and other types of luxury kitchenware, though most of the corporation’s business comes from the manufacturing of parts and components for heavy industry. Founded in 1941 by a Catholic priest, Jose Maria Arizmandiaretta, seeking for some of the damage caused by the Spanish Civil War, the MCC was built around principles of coexistence and full employment based on solidarity. The corporation has been surprisingly resilient against the changing tides of an increasingly globalised world. Over the years the MCC has grown and developed in the largest corporation of the industrial Basque Country, and has become one of Spain’s top-ten biggest corporations. But despite its enduring success the corporation is facing unprecedented challenges. Though it has plants in 18 different countries outside Spain, none of those plants are run as co-operatives. And with the economic slowdown in Europe, business is likely to move further afield, making the MCC’s reliance on overseas plants more and more inevitable. “We used to sell a lot in Spain and in Europe,” says Legarda, but the company is now changing its target markets to places like South Africa, Brazil, China and North America. This shift questions how a local industry model, created over 60 years ago will adapt to remain competitive in global markets. According to company reports, international sales have been the driving force behind the MCC’s industrial sector growth since 2009. “We can’t offshore,” says Josu Ugarte Arregui, the global director for MCC, “so we have to keep climbing the technology ladder and improve core engineering here.” Collectively MCC members decided to reinvest a portion of each company’s net revenues in a fund for research and development, which now employs over 800 people and has a budget of $75m. As a result in 2010, 21.4 percent of sales of MCC industries were of products that were developed less than five years ago. Currently the corporation is stepping up investments in manufacturing thermal insulation, water purification and grinding machines for the aerospace industry. Although none of the firms within the co-operative have ever gone out of business, there are certainly challenges. 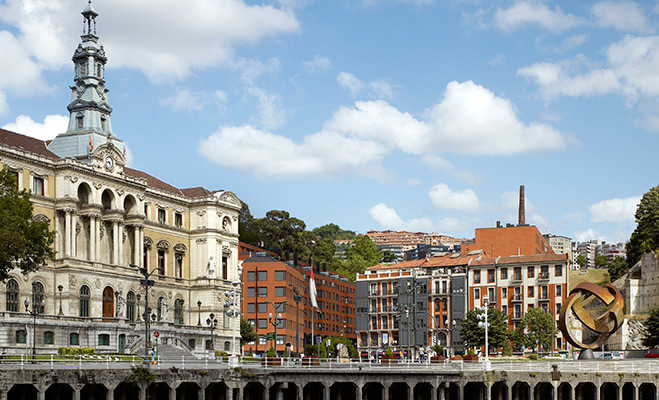 The Spanish economy is forecast to shrink between 1.5 and 1.8 percent this year, and the Basque local economy, usually resilient, is set to shrink 1.2 percent of GDP. With so many restrictions to its operations it is unlikely that the corporation will be able to respond quickly in the face of a more severe crisis, such as what looms in the Spanish horizon. There are inherent flaws in the cooperative model. The MCC only gained prominence in the last twenty years, despite being in existence since the 1940s; this has meant that the number of employees has shot up from 25,322 in 1992 to 83,859 in 2012. The rapid growth in employment has not been reflected in a similar growth in members of the cooperation, so out of the employees based in and around Arraste Mondragon, around 40 percent are members, nearly 44 percent are employees in other parts of Spain, and 16 percent abroad are not, and thus not involved in the democratic process of the corporation. According to reports it is harder for members to be fired or made redundant than mere employees, and as companies falter, many members have to be re-trained and re-employed at other member companies at huge cost to the corporation as a whole. But despite this, the MCC has managed to increase its revenues between 2010 and 2011, in the midst of the financial chaos gripping Spain, and not a single employee, member or otherwise, has been lost in that same time. It is not clear how much United Steelworkers were able to take home from their adventure in the Basque Country. The MCC still relies heavily on the values outlined by Arizmendiarrieta, what they call the Mondragon Experience, a centuries-old ethos fostered by Basque culture. Most of the business in the MCC is conducted in Basque, the region’s ancestral language only spoken by around 700,000 people, which underlines the member’s commitment to the corporation, and their traditional Basque way of doing things. In order to remain self-sufficient and reliant the corporation even launched its own co-operative bank, which as of 2010 held over $25bn in deposits.